Shenzhen Huiyou'an Electronics Technology Co., Ltd. 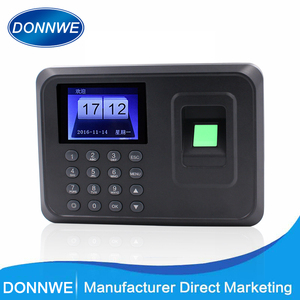 Selling Points Cheap Fingerprint Time Attendance with Free Software A. Authentication modes are 1:1 and 1:N, user can register ten fingers D. It can also support simple access control and external bell. User could enroll the fingerprint in one device, and share the enrollment information with other devices through the USB flash memory. 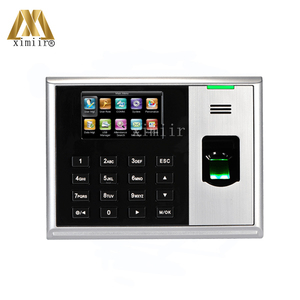 Limited specialized in R&D, manufacture & sales of fingerprint door lock and access control system. Our products have passed international certificate approvals, and have been exported to many countries. Specifications 1. Fingerprint capacity: 1024pcs 2. Record capacity: 64000pcs 3. Password capacity: 1024pcs 4. 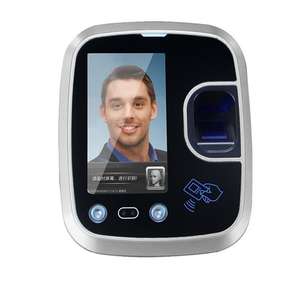 Access mode: Fingerprint/Fingerprint+ID No./ ID No. ) Packaging & Shipping Packaging Packing detail: in a gift box. 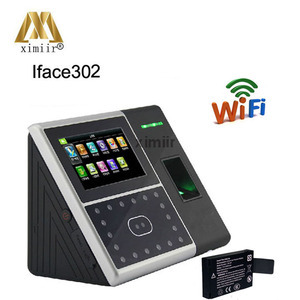 Packing includes: One unit of biometric time recorder One adapter One menu Shipping 10-20 working days after receiving the payment OEM & ODE are also welcomed! Alibaba.com offers 1,203 time attendance system software products. About 12% of these are access control system, 3% are software, and 1% are access control card reader. A wide variety of time attendance system software options are available to you, such as programming & development, system utilities & maintenance, and antivirus & security. You can also choose from windows, dos. As well as from paid samples, free samples. There are 1,090 time attendance system software suppliers, mainly located in Asia. The top supplying countries are China (Mainland), India, and Bangladesh, which supply 98%, 1%, and 1% of time attendance system software respectively. Time attendance system software products are most popular in Southeast Asia, Domestic Market, and Mid East. You can ensure product safety by selecting from certified suppliers, including 262 with ISO9001, 116 with Other, and 73 with ISO14001 certification.